The theme chosen was black & white, with a subtle Gatsby influence. 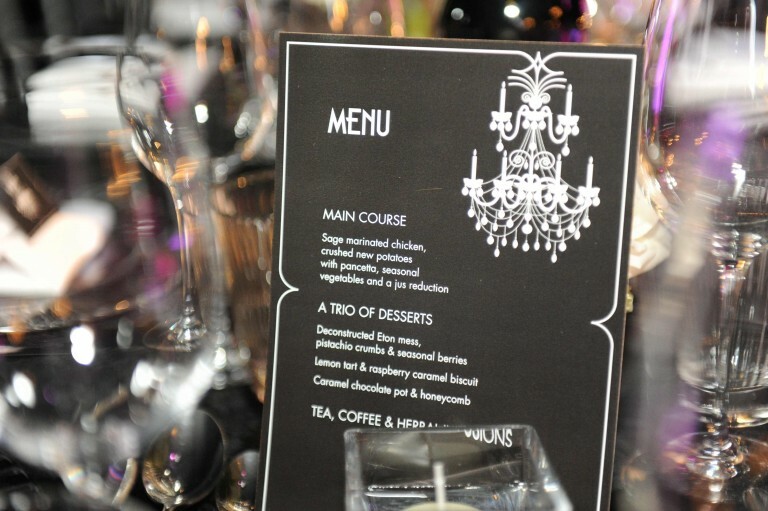 Stunning crystal chandeliers were hung over the dining tables and were also incorporated into all the party branding from the seating plan to the menu cards. A giant glitter ball reflected tiny sparkles of light around the marquee, which looked absolutely exquisite set against the backdrop of the chandeliers. 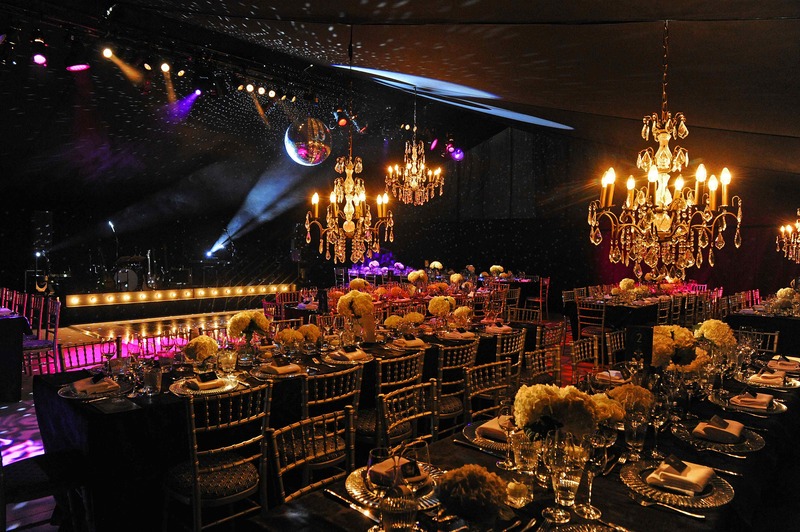 Tables were dressed with black damask tablecloths, glass charger plates and gorgeous floral arrangements of white hydrangeas interspersed with floating candles and t-lights. The chairs also had a bespoke makeover with specially sourced black & white fabric covering every seat pad. 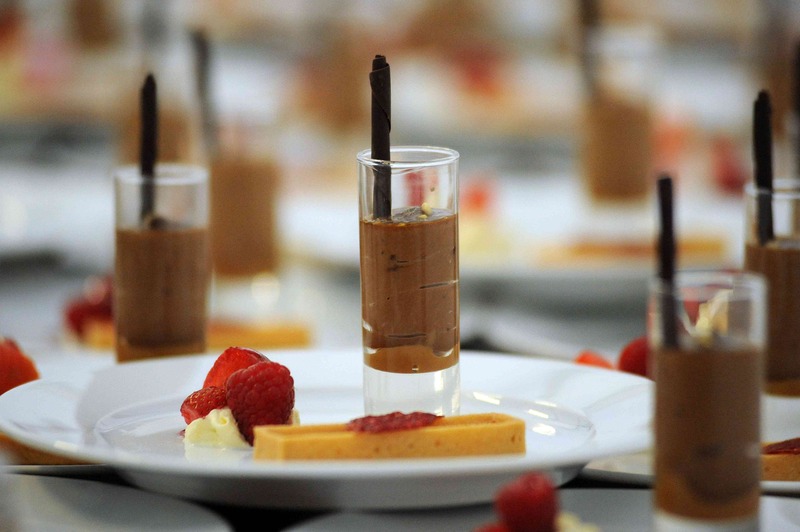 Guests enjoyed a delicious menu. Our favourite was the caramel chocolate pot, which proved to be a big hit. 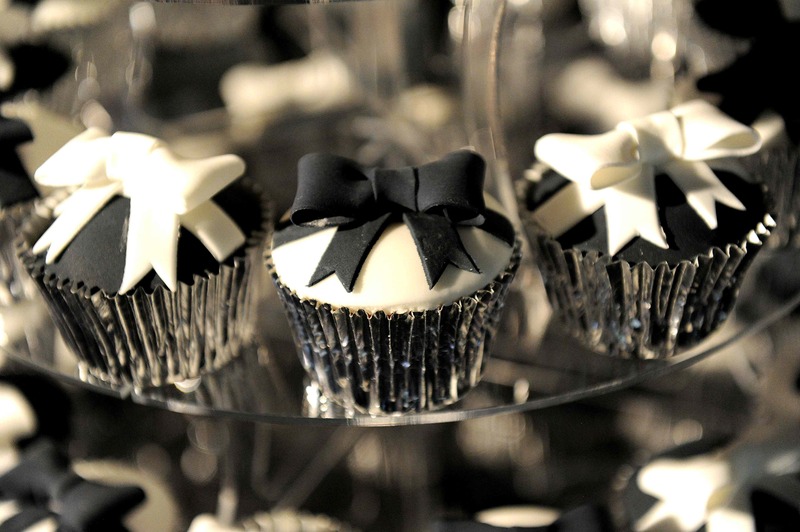 And, incase guests hadn’t had enough of a sweet fix, cute little black & white cupcakes were handed out for midnight munchies. Once dinner was finished the party got into full swing and guests danced the night way on the black & white dance floor to the sounds of the band and some club classics from the DJ. 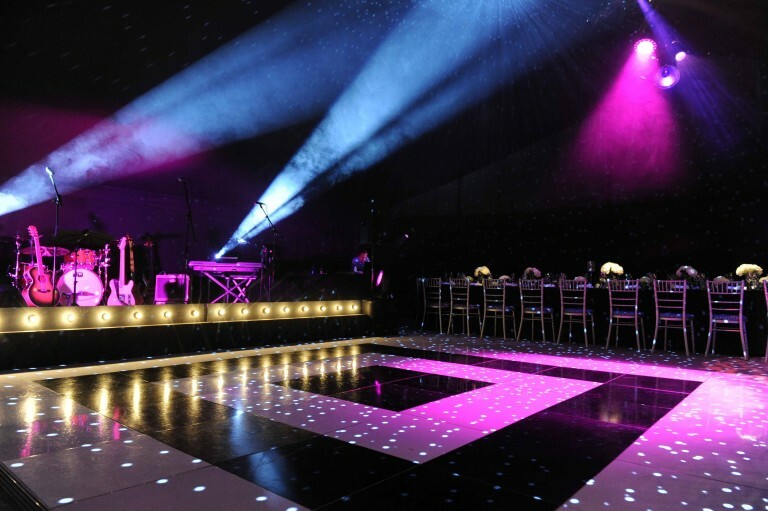 “Thank you for organising such a fabulous party or us and for all your professional advice and expertise in setting it all up. There is no way we could have managed the organisation of over 115 people and ensured it ran so smoothly. Your styling expertise of the marquee was superb and the support you gave was second to none. I have no hesitation in recommending you and Papillon Events to anyone interested in holding a social event of any type. 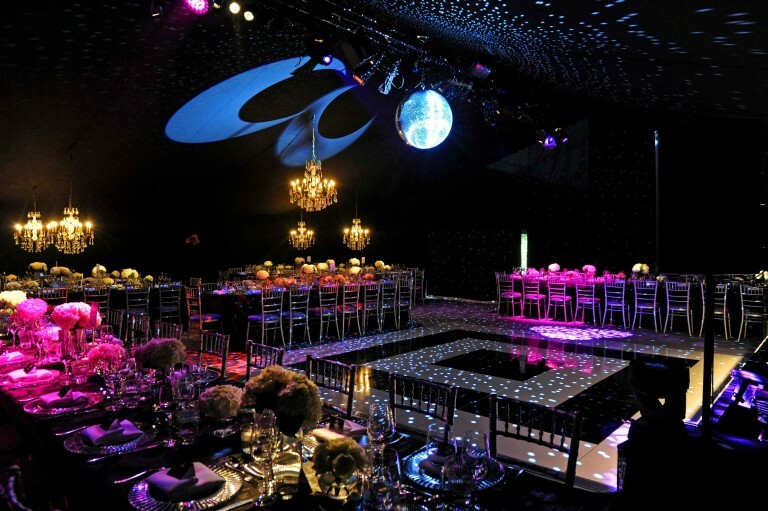 Share the post "Black & White – Themed Birthday Party"